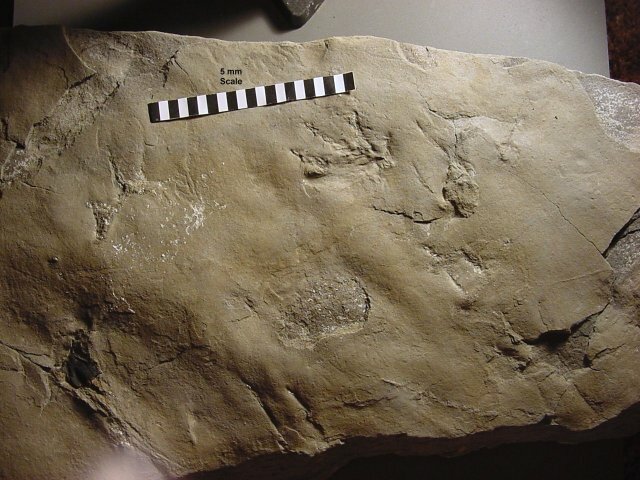 Trip to Hazard, KY included finding many different plant fossils from the Pennsylvanian Breathitt Group near the "Four Corners" area at the intersection of Rt. 15 with the Daniel Boone Parkway (or Rt. 80). We searched large road cuts in the area and found Calamites, Annularia, Lepidodendron, Stigmaria, seed fern leaves, etc. 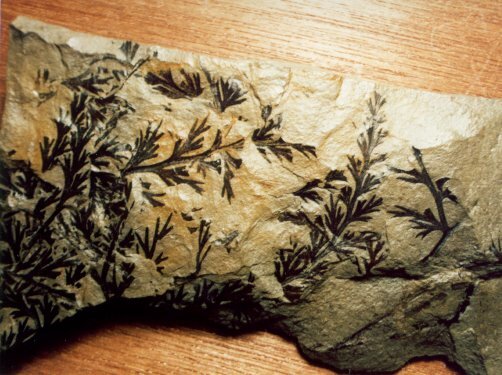 This is coal country, and these types of plants formed the vast Eastern KY coal deposits about 300 million years ago. These are very well preserved as black carbon films on medium to light gray shale (so there is a lot of contrast). However, the films are delicate, so a light coating of hair spray is recommended before the shale dries out and the carbon film flakes off. Cheap, unscented Aqua-net works fine. On the return trip (heading west from Hazard on the Daniel Boone Parkway), there are several road cuts exposing dark marine Pennsylvanian shale (Magoffin Member of the Four Corners Fm., Breathitt Group). 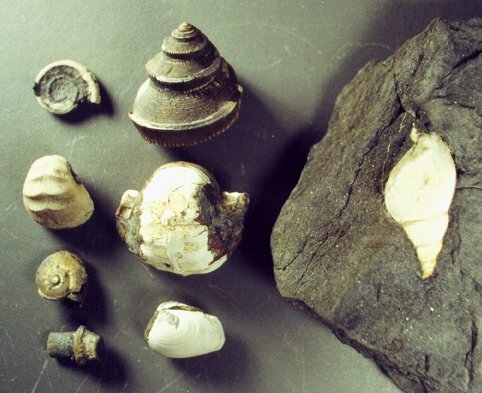 These road cuts yielded abundant brachiopods, nautiloids, gastropods, clams, and even the occasional stemless crinoid calyx and sea-urchin spine. 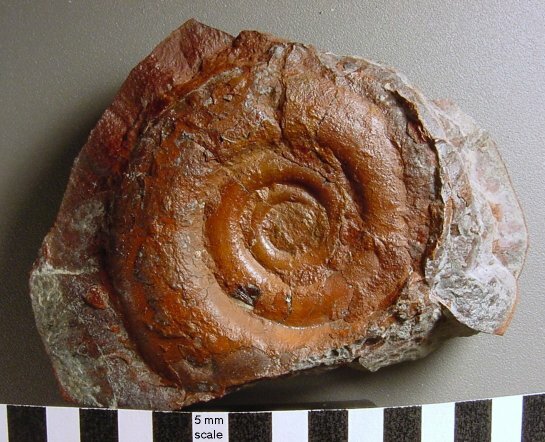 The mollusks are very well preserved and are a spectacular snow-white color in very dark shale matrix. On a second field trip to the Hazard, KY area, members of the KPS (as part of the 16th Annual Mid-American Paleobotanical Colloquium) visited the Leslie Resources Cockerell Fork Mine just north of Hazard. At this coal surface mine, Pennsylvanian rock from the middle and upper parts of the Four Corners Formation of the Breathitt Group were exposed (including Hazard Nos. 7, 8, and 9 coals). 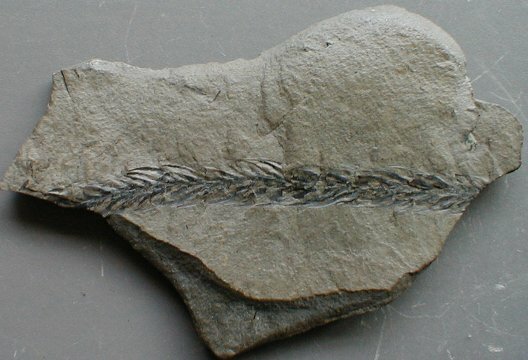 Many plant fossils were collected from the numerous spoil piles. These spoil piles are created by the tremendous amount of overburden (shale and sandstone) that must be removed to get at the coal. A quick glance at the mine high-wall revealed that shale and sandstone constituted a great majority of the total exposed strata, while the relatively thin coal layers were a decided minority. 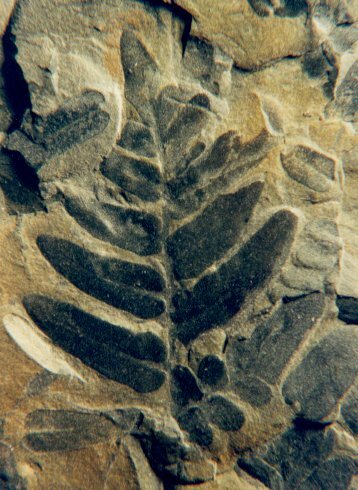 The plant fossils found were typical Pennsylvanain such as: Neuropteris, Calamites, Lepidodendron, Stigmaria, etc. 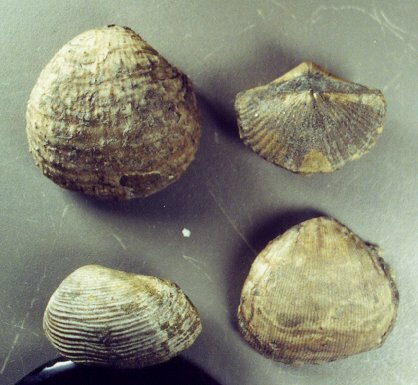 In addition, beautiful Lingula inarticulate brachiopods were found with the plants indicating some marine or brackish influence. 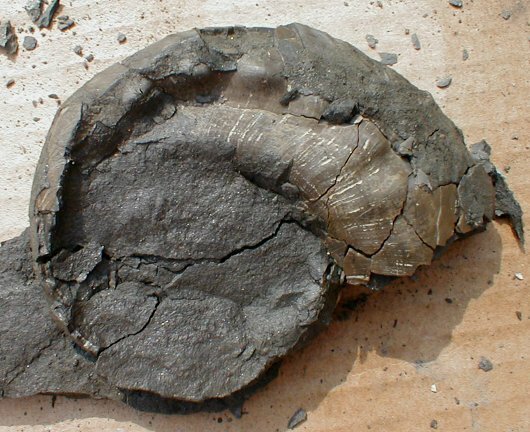 Most of the fossils probably were from the shales above the Hazard 8 coal seam. The KPS trip to Morehead featured exploring hillsides in the area and wading in a shallow creek. 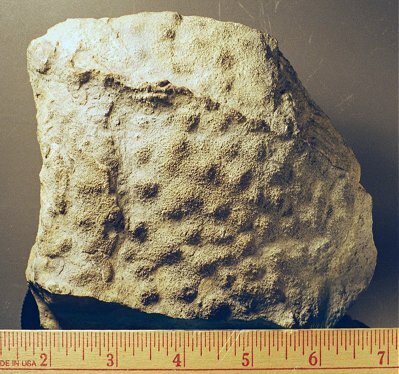 The rock formations examined included the Mississippian Borden Formation (Nancy Member). 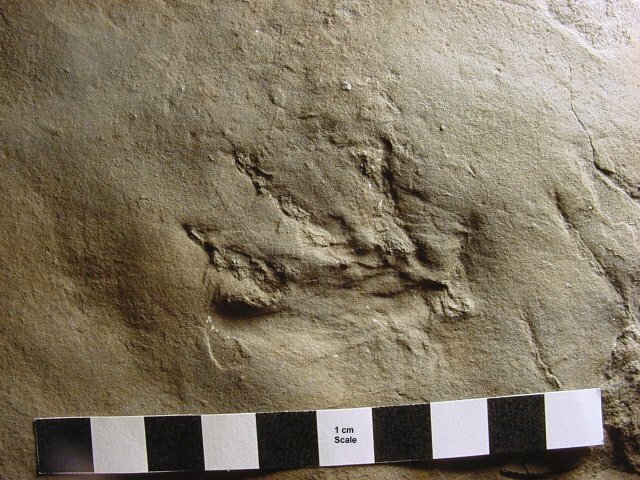 Both in the creek and on the hillsides, one looked for nodules in the shale. 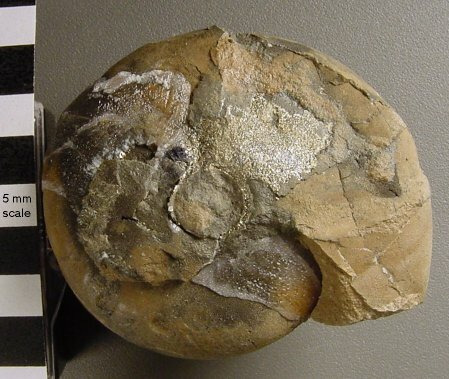 Sometimes, upon breaking them open, these nodules will contain beautiful ammonoids (Muensteroceras) or even a vertebrate jaw fragment. The trip to Winchester featured a visit to an outcrop on I-64 which exposed the Middle Ordovician Lexington Limestone (Millersburg Member). This roadcut yields many nice fossils including uncommon trilobite pieces, nice Cyclonema gastropods, Constellaria bryozoans, various brachiopods, and even a rare ecinoderm (cyclocystoid). Also, this trip included a visit to a roadcut on Rt. 627 in Winchester which exposes the Lexington Limestone (Strodes Creek Member). This exposure yields beautiful red algae deposits. 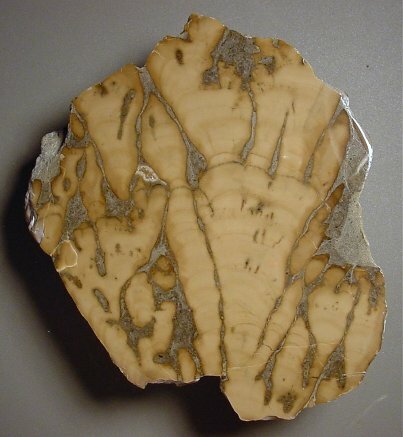 The algae manifests itself in branching "fingers" of pinkish calcite "growing" through the gray limestone matrix. When cut with a slab saw and polished, they are beautiful, indeed. 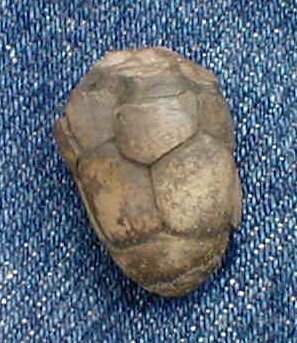 In addition, stromatoporoids can also be found here. Just south of the town of Winchester on Rt. 627 there are a couple of roadcuts near a golf course. These cuts expose the Middle Ordovician Millersburg Member of the Lexington Limestone. 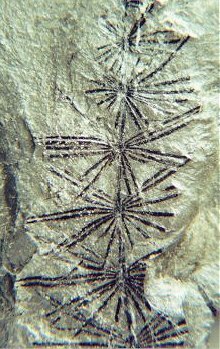 On a thick slab with many Ambonychia molds was found a single specimen of a very rare class of echinoderm called a cyclocystoid. 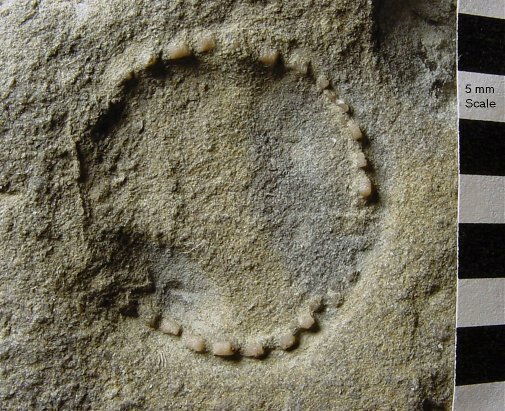 It is not a breathtaking fossil, as it consists only of a ring of plates. Since the central area of the animal is hardly ever preserved, not very much is known about this creature. 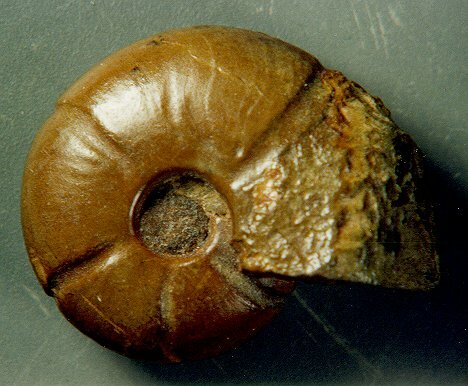 They are much rarer than edrioasteroids, and it is likely that a fossil collector may never find one in his/her life. But...since you never know, it is best to be able to recognize one if you should see one!